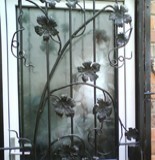 Lincoln Metalcraft can design and incorporate your favorite animal or a design of your choosing into your fence. 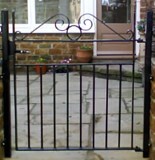 Lincoln Metalcraft can design and install your fence that matches your requirements and maintains safety. 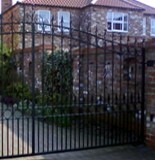 Lincoln metalcraft undertakes all types of metal work and will work with you to meet your requirements. 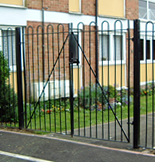 Lincoln Metalcraft will design and install the Electric Gates to your specific requirements ensuring you receive a comprehensive service from beginning to end. 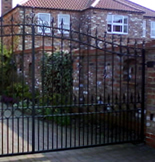 Lincoln Metalcraft will design and install your gates and enhance the beauty and efficiency of the entrance way to your property. 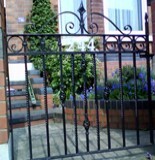 Lincoln Metalcraft Ornamental railings offers privacy and adds that special touch to the front of your home and ensures that your pets and loved ones are safe. The number one benefit is security. They provide a buffer zone between your home and the undesirable elements lurking on the streets. 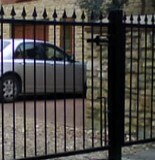 Electrically controlled gates are a serious deterrent to the opportunist burglar, car thief or vandal. They are powered by motors that make it difficult for intruders to force open and you can also fit a lock for even greater protection. 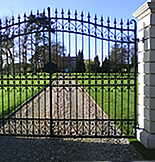 Your automated gates could form part of a comprehensive home security system which would include video surveillance of the entrance and boundaries of your property. 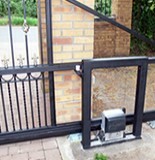 There are just so many benefits from installing electric gates that everyone who owns a home with a drive should strongly consider installing a set. No job has been considered too small and we offer a full service from manufacture through to full installation and decoration. 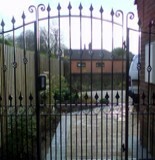 We can design and manufacture everything from fences to gates to railings and even garden furniture all to your own specification. 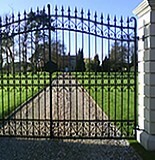 We offer the most basic of fences to lavish ornamental gates & railings. No job too small and everything is considered so give us a ring today! We have increased the number of employees so we can maintain our high standards and to service the ever returning customers such as Local Councils, Education Authorities, well known construction companies and all the domestic customers from terraced houses to manor homes. 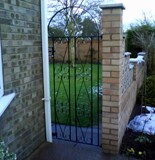 Please click through our site to see everything we produce, from simple gates and railings to elaborate garden furnishings. If you require something that you cannot see, please give us a ring and we will be more than happy to answer any queries or questions you have.